What follows is my skeptical analysis of the arguments commonly made for why raw-ingredient diets are “better” for dogs than those based primarily upon cooked products. It’s a lengthy (3,000+ words) and in-depth piece. Perfect for passing the time while waiting for a delayed flight or taking a break from an awkward Thanksgiving table debate about the recent election. I have been asked to analyze this issue countless times. The raw dog food industry is growing explosively, in spite of the undeniable costs associated with its products. Calorie-for-calorie, commercially-prepared raw dog foods are usually at least eight times as expensive as traditional kibbles. Moreover, they involve considerably more preparatory work than “scoop-and-serve” kibbles and they carry at least some risk of contamination with dangerous food-borne pathogens too. Today’s post is my attempt to analyze their arguments in light of the best available evidence. Are the raw food devotees onto something? Do their arguments really hold water, or do they suffer from unfounded assumptions, a lack of evidence, or some other kind of shaky logic? What do we really know about the benefits or raw dog foods? Now, let’s get something out of the way right here at the start. As I never tire of writing, there is at least one way in which raw diets are indisputably more healthful for dogs than the kibble-ized alternatives: they’re usually much lower in total carbohydrate content. Kibbles tend to be composed of 40%-60% (or more!) carbohydrate. Raw foods usually contain no carbohydrates whatsoever. For the most part, they’re meat and meat alone. Why does that count as a benefit for raw foods? Well, calorie-for-calorie, carbs make dogs fatter than other nutrients. And being fat kills dogs. So there can be little debate over whether the lower carbohydrate content of raw-ingredient foods renders them a more healthful choice than kibbles for that reason alone. There is also emerging (if not yet overwhelming) evidence that zero-carbohydrate diets can slow or prevent the spread of cancer. Seeing as obesity and cancer are, without question, the two most pressing chronic health problems in America’s pet population, it makes plenty of sense to go raw for the simple purpose of reducing carbohydrate intake. But in this piece we’ll be looking at something slightly different. We’ll be examining the evidence supporting the claim that raw ingredients are more healthful than cooked ingredients simply by virtue of being consumed in a raw state. In other words, if we could take all the ingredients in a raw-ingredient food, bake those ingredients and produce a lower-cost kibble, would there still be health-related reasons to choose the raw food product? Other than the nutritional benefits of carbohydrate minimization, I have heard a grand total of four different arguments advanced in favor of raw-ingredient diets: (1) the “Enzyme Argument,” (2) the “Micronutrient Bioavailability Argument,” (3) the “Overall Vitality Argument,” and (4) the “Don’t Mess With Mother Nature Argument.” I’ll examine the merits of each one below. Advocates of raw diets claim benefits ranging from improved longevity to superior oral or general health and even disease resolution (especially gastrointestinal disease). Often the benefits of providing natural enzymes and other substances that may be altered or destroyed by cooking are also cited. However, proof for these purported benefits is currently restricted to testimonials, and no published peer-reviewed studies exist to support claims made by raw diet advocates. Now, there are some good reasons to believe that the ACVN knows what it is talking about here. Like the fact that, as the governing body that oversees the board-certification of specialists in veterinary nutrition, it is probably the most reputable source of veterinary nutrition advice on the planet. Nevertheless, I think that it’s worthwhile to do our own analysis of the evidence. Because I believe that the dismissive, across-the-board nature of the ACVN’s position statement is a clear case of overstatement. And it’s not too hard for me to prove my point. For that reason, and perhaps just because it gives me an excuse to dive down into the literature and go fact-fishing, I’m going to push ahead with this analysis despite the fact that the ACVN claims to have already done it for us. Who knows, maybe we’ll uncover something else the group has overlooked. Exposure to heat during cooking destroys enzymes that would otherwise occur naturally in common dog food ingredients. So cooked foods deprive our dogs of enzymes that would otherwise be consumed if the ingredients were served raw. Many of these enzymes perform vital, healthful functions in a dog’s body. So feeding raw ingredients instead of cooked ones will increase enzyme concentration in my dog’s body and improve all related bodily functions. To weigh the validity of this argument, we need to understand a bit of background information about enzymes. I’ll do my best to make it quick. Enzymes are molecular compounds that catalyze (think “speed-up”) reactions in the body. They are highly specific and there are lots and lots of them, but they all perform the same essential function—they help convert substrate molecules (think “inputs”) into more useful product molecules (think “outputs”). They can be found anywhere in your dog’s body that food is making the long, complicated journey from tasty morsel of goodness into useful energy. The process of converting food into energy may be long and complex, but it essentially occurs in just two fundamental steps: (1) digestion (the breakdown of food into smaller components that can be absorbed into the bloodstream) and (2) metabolism (the conversion of those components into energy). Enzymes help to advance both processes. The Enzyme Argument is usually made with respect to digestive enzymes—the ones that help break-down the protein, carbohydrate, and fat found in foods — as opposed to metabolic ones, but, as I’ll explain, the relevant evidence (or lack thereof) applies equally well to metabolic ones. Two more conceptual building-blocks before we start looking at that evidence. First, understand that most dogs produce plenty of digestive and metabolic enzymes naturally, all on their own. The primary production site is the pancreas, so dogs suffering from pancreatic disorders are an exception. But for healthy dogs, diet is far from the only source of enzymes. Second, as highlighted by the National Research Council in its most recent edition of The Nutrient Requirements of Dogs and Cats, “most of the enzymatic digestion of food occurs in the small intestine.” In other words, most naturally occurring digestive enzymes do their work after food has left the stomach. That most (but not all) enzymatic digestion occurs after food has left the stomach is an important fact to keep in mind when analyzing the Enzyme Argument. If it is the job of those naturally occurring digestive enzymes to break-down ingested food, why would they only get to work once the food has left the stomach? Why wouldn’t they begin while food is still being digested in the stomach? Well, it turns out that the inside of a dog’s stomach is a pretty nasty place to be if you’re a fragile molecule like an enzyme. Why? Because the stomach is usually full of a highly caustic acid, a substance that is so corrosive as to be responsible for the bulk of food digestion. Now, remember that the Enzyme Argument is based on the premise that enzymes are fragile and get broken-down when exposed to heat during cooking. So, in order to accept the Enzyme Argument, you’ve got to believe that beneficial digestive enzymes are so fragile as to get destroyed in a hot oven but also robust enough to survive in a dog’s highly acidic stomach. Which already begins to sound a little flimsy to me. And while the sheer number of naturally-occurring food-borne enzymes prohibits me from unequivocally saying that none of them make it through digestion, I have been unable to find any published evidence showing that they do. In fact, as you can see from this JAMA study, effective human-use digestive enzyme medications are deliberately engineered to avoid this phenomenon. Those medications are encased in an enteric coating that serves as a barrier against gastric acid and allows the enzymes to pass through the stomach unperturbed. As the JAMA study suggests, when the coating breaks down, the benefits of the medication cease. Moreover, I was unable to find a single study suggesting that the increased consumption of enzyme-rich foods or supplements tends to increase the concentration of digestive or metabolic enzymes in either dogs or people—except in the case of enterically-coated enzyme supplements, which, for the reasons I’ve just highlighted, have been shown to increase the concentration of digestive enzymes in human patients with pancreatic disorders. So what’s the final takeaway on the Enzyme Argument? No published evidence that I could find showing that enzymatic activity was higher than normal when a raw diet was consumed. And a pretty coherent theoretical basis for doubting that such evidence will ever exist. If I missed something compelling please e-mail me a copy and I’ll be happy to review it and (if necessary) update my position. But, for the moment, I’m not persuaded. When we’re talking about micronutrients (vitamins and minerals), the word “bioavailability” basically means “absorbability.” (If being used to discuss pharmaceuticals, it has a different meaning.) So the Bioavailability Argument effectively says that cooking alters the micronutrients found in dog foods, rendering some less absorbable during digestion than they would otherwise be if they were consumed in a raw state. Because some of the lost nutrients are “good for health” for one reason or another, it’s a bad thing to decrease their bioavailability. Or so the argument goes. So what exactly does “good for health” mean in this context? Well, dietary micronutrients are often claimed to have two kinds of benefits, one that pretty much everyone agrees on and one that they don’t. Where we all more or less agree is if your dog doesn’t consume enough of certain nutrients, she will develop a disease of acute deficiency, such as anemia, which can occur when dogs don’t consume enough iron. The reason that there is such broad agreement that certain micronutrients serve this health function is this is the kind of theory that lends itself particularly well to scientific testing: researchers have examined the various biochemical roles that vitamins and minerals play in a properly-functioning body, they’ve identified the acute physiological maladies that result when too much or too little of those nutrients are found in the bloodstream, and they’ve used testing to identify what exactly “too much or too little” means in this context. And the regulatory bodies that oversee the purchase and sale of food products try—at least in theory—to craft rules to make sure no one unwittingly takes in so little of any one micronutrient so as to give rise to an acute deficiency. The second claimed benefit of dietary micronutrients (the one that is often met with greater skepticism) is that the ingestion of a certain quantity of any one micronutrient can be used to “optimize” health, by serving to ward off chronic diseases (as opposed to acute diseases of deficiency) or to simply improve longevity and vitality. You see these type of claimed benefits highlighted every day in the mainstream health and wellness press (e.g., “As an antioxidant with a powerful punch, vitamin E helps prevent cancer, heart disease, strokes, cataracts, and possibly some of the signs of aging.”). This distinction is important because the Micronutrient Bioavailability Argument is based exclusively upon the second category of claimed benefits. It is the rare instance indeed when even the most zealous of raw diet advocates will claim that a traditional kibble diet will result in a disease of acute nutrient deficiency, such as iron-deficiency anemia. And it’s not hard to see why: traditional kibble-ized diets don’t often give rise to diseases of acute nutrient deficiency. Think about it. If you regularly feed a traditional kibble then I feel comfortable betting my life savings that your dog has never developed an acute vitamin deficiency like anemia. For all that they do poorly, AAFCO and the FDA do an adequate job of ensuring that all dog foods sold for “all life stages” provide at least enough micronutrients to ensure that your dog doesn’t develop an acute vitamin deficiency. As I mentioned above, the scientific community has a pretty solid understanding of what your dog’s daily vitamin intake needs to be in order to prevent acute deficiencies from developing. And that understanding has given rise to regulations that ensure that your dog’s food won’t wind up making her, say, anemic. So that’s not an issue. If you feed a traditional kibble, you are almost certainly providing your dog with enough nutrients to ensure that she doesn’t develop an acute vitamin deficiency. But what about the idea of “optimization”? Can feeding your dog a raw-ingredient diet improve her overall health by virtue of the fact that it contains a greater quantity of absorbable micronutrients than a cooked one? Some proponents of raw-ingredient diets would have you think so. But I’m not so sure, for a few reasons. First of all, the studies upon which any version of the Bioavailability Argument is based generally amount to exercises in reductionist science. One cohort gets only a little Vitamin E, the other gets lots of it, and chronic disease outcomes are monitored and, if necessary publicized, regardless of whether there’s a theoretical basis linking the outcome to the intervention. In other words, the publishers imply that there’s a cause-and-effect relationship without understanding why that would be the case or how that relationship would work at the cellular level. It’s the old problem of correlation vs. causation. But that’s just a general comment about the nature of the studies upon which the Bioavailability Argument is generally based. The real problem with this argument is that it’s not really “optimal” by anyone’s standards to simply maximize overall micronutrient intake. After all, for many vitamins and minerals (such as calcium, sodium, and Vitamin A), the National Research Council has imposed what it calls a “safe upper limit” for intake by dogs. Beyond that limit, too much of those micronutrients is a demonstrably bad thing for health. And other micronutrients (notably calcium and phosphorus) need to be ingested at a consistent ratio—you don’t want too much of one unless you’re also getting more of the other. In the end, the idea that feeding your dog raw ingredients in order to optimize her health by juicing up the micronutrient content of her diet just doesn’t seem to me to be fully thought through. 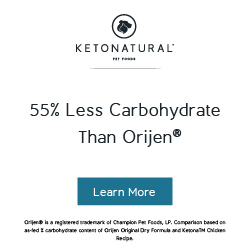 As long as you’re feeding a “complete and balanced” kibble then your dog is getting enough nutrition to prevent acute micronutrient deficiencies. And the so-called benefits of anything beyond that seem tenuously reasoned, at best. Fact: Many of us in the veterinary community, including myself, have seen first-hand the health and vigor of dogs and cats fed raw diets. These animals just ‘shine’ in all respects. While these observations are shared by a growing number of animal health care professionals as well as experienced dog and cat fanciers, they could be considered as merely anecdotal. Perhaps so, but I consider them experiential findings based on years of observations by many dedicated professionals in the holistic veterinary field. I believe, therefore, that to criticize all raw diets on the basis that they are inherently harmful is misleading, and conveys an inflexible message. Given her role as a trusted advisor and medical care-giver, I don’t think it’s unfair to be critical of Dr. Dodd’s reasoning here. Despite her claim to the contrary, her conclusion is undeniably not a “fact”; it is a “belief,” and one that she admits to be based exclusively on anecdotal observations, no less. Moreover, the belief in question (that criticizing raw diets as inherently harmful—as the AVMA has done—is misleading and inflexible) and the alleged support for it aren’t even logically linked, because her anecdotal observations don’t have anything to do with the AVMA’s claims about the dangers of raw food preparation (they only address a supposed benefit of raw foods). And, of course, her willingness to weight her own limited observations more heavily than the publication and peer-review process isn’t a quality to be valued in a medical care-giver. But let’s look past all that for a second. Let’s assume that her anecdotal observations do in fact reflect some underlying objective fact—that dogs fed raw diets are more energetic and vigorous than their kibble-fed counterparts. Why does that mean that the rawness of the ingredients is what’s responsible for the improved vitality? Why do we have to assume that there’s some elusive, unproven, yet-undetectable biochemical process through which raw ingredients lead to better vitality than cooked ones? Why can’t we just assume that it’s the lack of starchy and sugary carbohydrates in raw diets? After all, there is copious published research showing that dietary carbohydrates alter blood glucose levels, insulin sensitivity, and metabolism—all phenomena with clear and well-understood ties to how your dog’s body produces energy and regulates its energy levels. So why isn’t that the default hypothesis here? In the end, squishy concepts like joie d’vivre are nearly impossible for rigorous researchers to test. So I’d wager that we’re not going to see any studies proving or disproving the Vitality Argument anytime soon. But what we do have is a mountain of evidence suggesting that it’s the low carbohydrate content of raw food diets (and not the rawness of the ingredients) that impacts energy levels. And not even a clear theory, let alone some compelling evidence, suggesting that it is the rawness that truly matters. That, my friends, is not a persuasive argument. Okay, last one. You don’t hear this one too often but, in my view, it has legs. Dogs evolved their remarkably complex digestive and metabolic systems over millions of generations of eating raw diets exclusively. Then, at some point in just the last few thousand years, we started feeding them cooked foods. This introduced meaningful change into some very complex systems—the ones by which dogs ingest and process foodstuffs. But we should always be very careful about introducing fundamental changes into complex systems. Because it’s impossible to prove a negative, you’ll never be able to use experimentation to show that switching a dog’s diet from raw to cooked food is free from all dangers—only a few thousand generations of evolution can reliably demonstrate that. So while the switch from raw to cooked ingredients may seem perfectly safe from our current vantage, we may well be causing some kind of harm that we are not yet able to detect or define. Obviously this isn’t the kind of argument that is proven or disproven by specific peer-reviewed studies. But that’s not to say that it’s not based on evidence. Consider, for instance, the well-documented history of cigarette smoking. Like cooked food, smoking is a human innovation that dramatically changes the way our complex bodies interact with the environments they inhabit. And while it took ages for scientists to prove that cigarettes cause lung cancer, they always did cause cancer. The damage was being done, even though no one much recognized it. We introduced fundamental change into a complex system, and the system went haywire as a result. We just didn’t realize it for a while. Is something similar happening right now with cooked dog food products? To my knowledge, there’s no compelling research suggesting as much. But that’s not the same thing as saying it’s not happening. In the end, I mostly agree with the ACVN. I don’t find the Enzyme Argument, the Bioavailability Argument, or the Vitality Argument to be a persuasive reason to switch a dog from a garden-variety kibble to a raw-ingredient food product. But the Don’t-Mess-With-Mother-Nature Argument certainly makes me wary about the potential unseen harms associated with extruded kibbles. Wary enough to keep an eye on the emerging literature and to otherwise tread carefully. But remember, that’s not the end of the story. I want to send you off to your turkey with a reminder of where we began. Just because raw ingredients haven’t been shown to be more healthful than cooked ingredients doesn’t mean that raw dog foods aren’t healthier than most kibbles. They are. The low carbohydrate content of raw foods is a very compelling health reason to “go raw.” And it’s one backed by loads of experimental evidence and a clear, coherent biological explanation. In other words, raw foods do provide a difficult-to-deny health benefit to dogs, it’s just not one that many raw diet advocates talk about. Thanks for reading. I hope you found this helpful and I hope that you and yours all have a wonderful Thanksgiving. I have been reading Dr. Fungs work extensively. He is so brilliant and is going against common dogma! I have a cat, she was obese after I went away for 8 weeks, but by using intermittent fasting, both she and I lost weight. Pets as well were noteant to eat 3x a day! My next step is the food……I eat only pastured meat and organic food, but can’t find a vet who doesn’t sell the canned pharma food! Any ideas on where to get guidelines on making my own car food? Any help would be appreciated. You are the first person to hit on this critical idea, well done! I’m an “alternative feeder” when it comes to my dogs, rousing the ire of several generations of veterinarians who have looked after my animals. 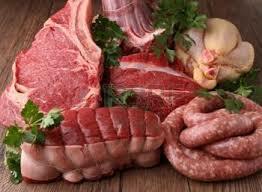 But I was confused about “meat and meat alone”: I would say I feed my animals maybe 10 to 25 percent meat and the balance a mix of fresh vegetables (some raw, some cooked). Are there really people who feed meat only? Thanks for sharing Coach Dan, great article. Raw food diets might be the oldest form of pet food; after all, they are very close to what ancient dogs used to eat. Thank you so much for this post.